The glossy, linear leaves remain green through most of winter. 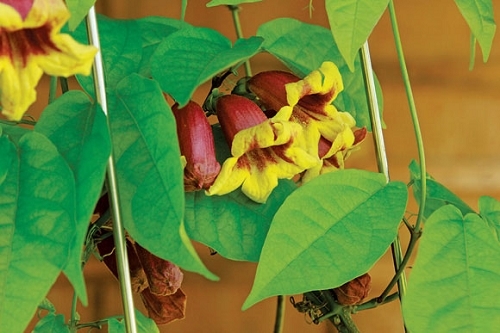 Use on trellises, walls, or trees. Hummingbird nectar source.